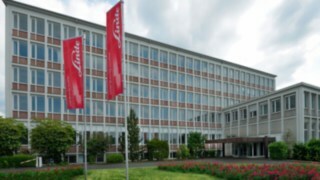 Linde Material Handling has moved into its completely modernised headquarters at Carl-von-Linde Platz in Aschaffenburg where it has created an entirely new work environment for its employees. Equipped with ample multi-space areas, the new premises provide the infrastructure for the Linde MH corporate functions to ensure the company’s successful transformation from industrial truck manufacturer towards an intralogistics solutions provider with maximum possible customer focus. 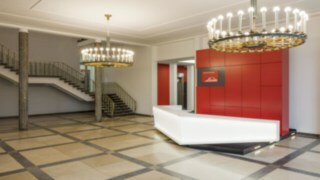 Tradition and listed status with all the modern conveniences: The newly designed foyer of Linde Material Handling’s headquarters. 17 months of renovations have resulted in the new headquarters providing 7,200 square meters of floor space. The old building was completely gutted and redesigned in accordance with state-of-the-art workspace concepts. Located in close proximity to quiet workplaces are a total of 15 acoustically insulated communication zones with poseur tables or seats. Here, employees can convene as needed to discuss issues and ideas, or hold brief project status meetings. Those wanting to make a phone call or work undisturbed for a certain amount of time, can do so in one of the 17 “think tanks” – glass-walled private offices. 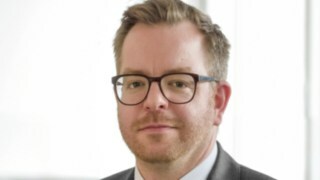 Thanks to the provision of laptops, wireless LAN and mobile telephone headsets, employees can move about freely and work at any of the 255 available desks, including those of the members of the executive board, according to Andreas Krinninger. 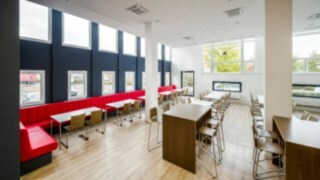 Light and airy: The cafeteria in the new headquarters of Linde Material Handling at Carl-von-Linde-Platz in Aschaffenburg. Altogether there are seven rooms of different sizes available for meetings; three of them on the ground floor can be combined to form a conference room accommodating around 100 people. This will make it possible to invite customers and business partners to headquarter events more frequently in the future. The project team turned to building consultant “aconsea”, a spin-off company of the Fraunhofer Institute for Industrial Engineering IAO in Stuttgart, for support in developing the “Linde workspace concept”. “Today there is widespread acknowledgement of the fact that a mix of different functional areas is crucial in order to meet the professional requirements of our modern information society,” says Prof. Wilhelm Bauer, the IAO’s managing director and a renowned expert. Prior to undergoing its extensive modernisation, the building was sold. “We want to focus our resources on investing in our product and solution offerings, as well as the increased productivity of our processes and our plants, and the further development of our employees. 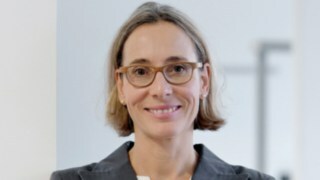 This creates added value for our customers,” explains Krinninger. The modernisation was carried out in close co-ordination with the new owner, the Aschaffenburg-based real estate company “Realconcept”, the architects’ office “BGF + architects” from Wiesbaden and the monument protection authority. “With the new owner, we have found a regional partner with a long-term perspective who has implemented all our requirements and wishes in a commendable way,” says Krinninger, full of praise for the fruitful cooperation with the real estate company. The architects successfully solved the particular challenges associated with monument protection and accordingly made the creation of a state-of-the-art office environment a reality.